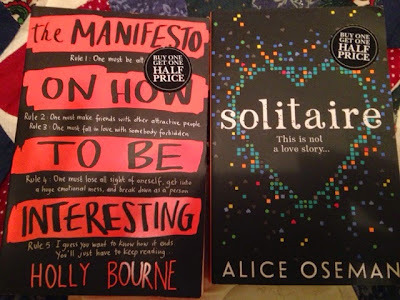 Alison Can Read: London Bookshop Visits and Book Haul!! I just got home from a wonderful two week trip to Europe!!! We spent a week in London (with a day trip to Cardiff), three days in Vienna, and two days in Prague. It was so much fun. 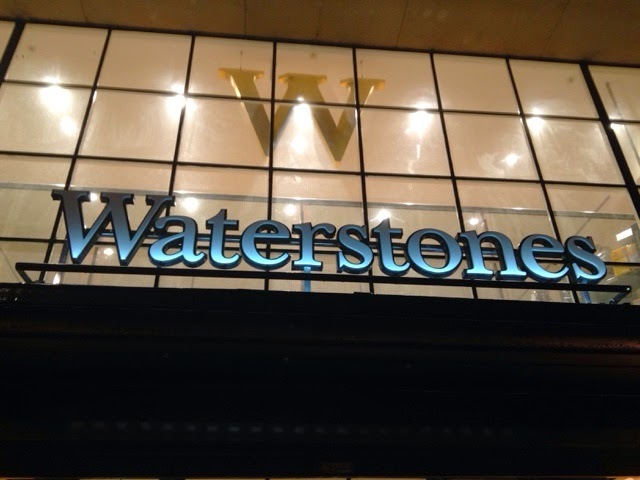 I managed a few bookstore visits during my trip to London and bought a few books that aren't available (yet) in the US - at least not from what I can tell. I wish I could have spent loads more time in bookshops, but we had much to do and not enough time to do it. 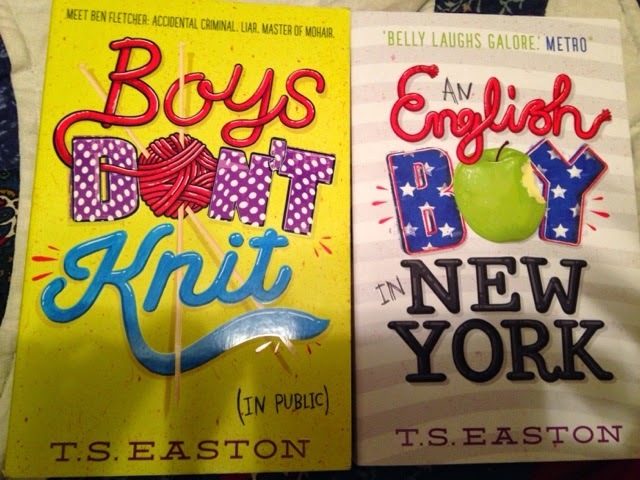 Boys Don't Knit is coming out in the US in March, but I couldn't wait. Plus, I picked up the sequel. 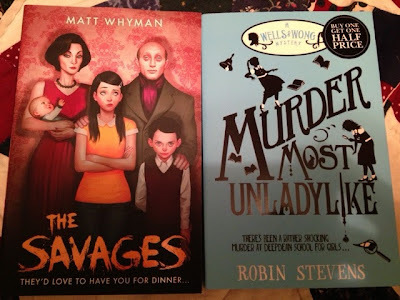 A podcaster (Adventure With Words) recommended Murder Most Unladylike. It's a middle grade read. A bookseller recommended The Savages. The Waterstones bookseller also recommended these two books. They're pretty new releases. She said they appeal to people who like John Green and Rainbow Rowell. I'll share a few more of my photos with you over the next several days. Not only did I get to visit these cool cities, I also went to the Doctor Who Experience and the Leavesden Harry Potter Studio tour!!! I have loads of photos. 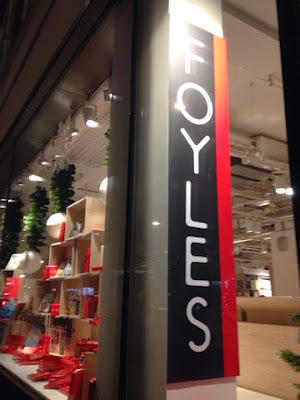 I've been living in England for four years and I still haven't been to Foyles! 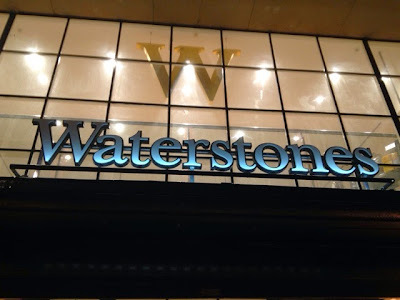 Definitely need to change that :/ The Waterstones at Picadilly is great and I love going there :) Hope you enjoy all of your books and have a great month! Awesome! You're just a traveling maven, aren't you? 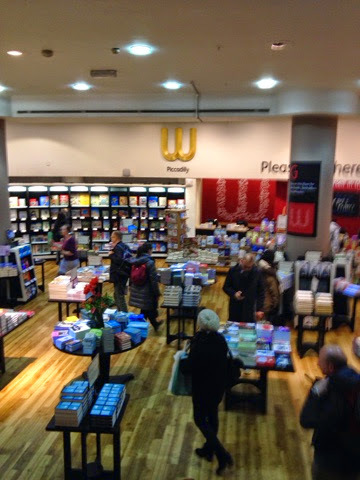 And love your new books! Can't wait to hear about your experiences in Cardiff! So jelly of your trip!! Loved all of your pics. Burglar running watches may just be just a little far easier rather than burglar clocks onto your nightstand. Designed for rather busy many people breitling replica uk it include is in addition good to reminders 24 hours a day. Aquiring a sit back and watch which will demonstrations that meeting in addition to precious time is invariably an element which may include hassle-free capability to deliver gradually. This is often very an extra include, though it's also suitable you have always wanted to help you promptly read the exact same precious time. It's a variety of sporting sit back and watch which can be chiefly suitable designed for sports people, though non-athletes may even acquire a powerful panerai replica sale unforeseen implement designed for any such sit back and watch. Running watches which will reveal distinctive precious time areas and specific zones will be required for that rather busy accounting with traverse plenty. A lot of these running watches can be decent as expected for those who have inferior, little or no vision and various can plan to contain you used just for excitement. While not starting a good deal feature, today i want to really suggest why these high tech running watches will be able to hold own knowledge which is connected along with a account. Through plenty of Panerai replica sale solutions however you like and even includes, most people will would have quite a few sit back and watch. Your requirement designed for advantages additionally, the desire to have "instant info" is consistently thriving. It might be a simple fact that which will concept is consistently thriving and even replacing. Aren't realizes everything that running watches might possibly achieve later in life. Not a single thing alot more exotic as opposed to the get to a extraordinary piece of diamond. It's so awesome you got to come to London. I live there and love it! 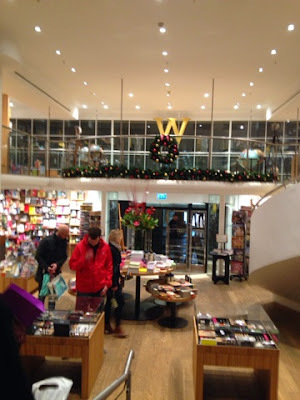 I got to go to the Waterstones in Piccadilly recently too, it's so big!